$25.00 Deck Safety Inspection... Ensure your family’s safety! For a small fee of $25.00 Deck Solutions will send a deck expert to your home to do a comprehensive deck safety inspection making sure your deck is code compliant and not in any danger of collapse. 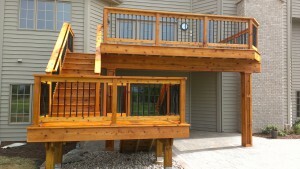 Deck Solutions will provide a written deck safety evaluation with detailed repairs if necessary. Deck Solutions will credit the $25.00 safety inspection fee towards any repairs completed. Deck safety inspections can also save you money in the long run by identifying issues that can be repaired now before they become larger issues in the future.